So I found a really fun activity for the kids on Pinterest! How to make Slime! Glow in the dark slime! My kids were so excited. We went and bought the stuff to make it the same day. Well, I had most of it! Just needed the glow in the dark paint. First start by getting equal parts of water and glue. 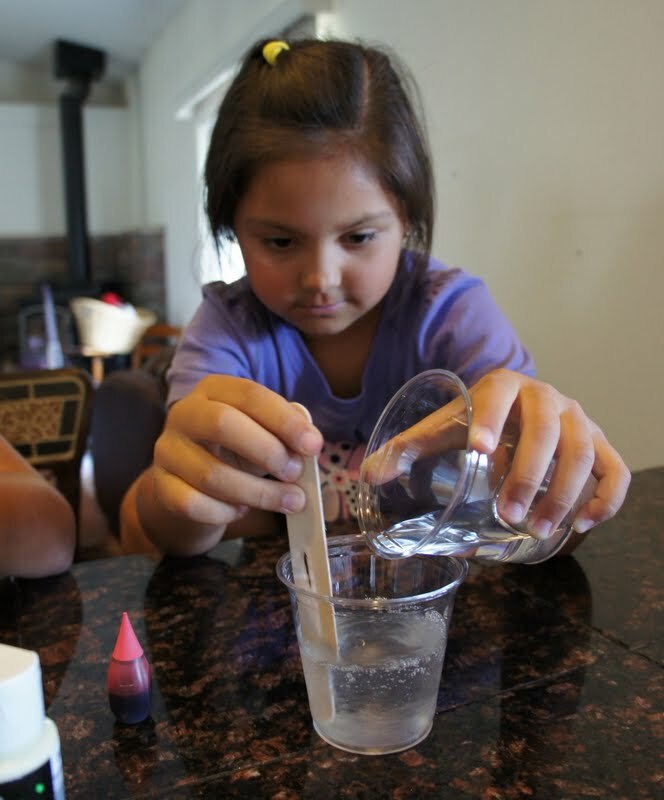 Then mix together the water and glue with your popsicle stick. Stir in a few drops of food coloring. Also mix in some glow in the dark paint. You want to add in enough, but not too much. About 2 squirts. LOL Hope that makes sense. Mix together some borax with water. Slowly add in that solution to your water and glue. Mix while adding. Your solution will immediately start to clump up. 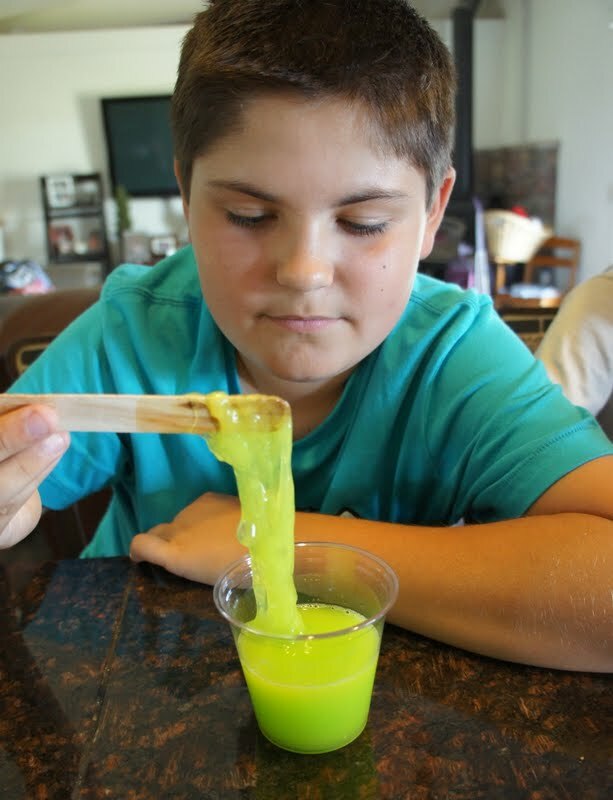 Keep adding borax until most of the liquid is gone and you have one big clump of slime. 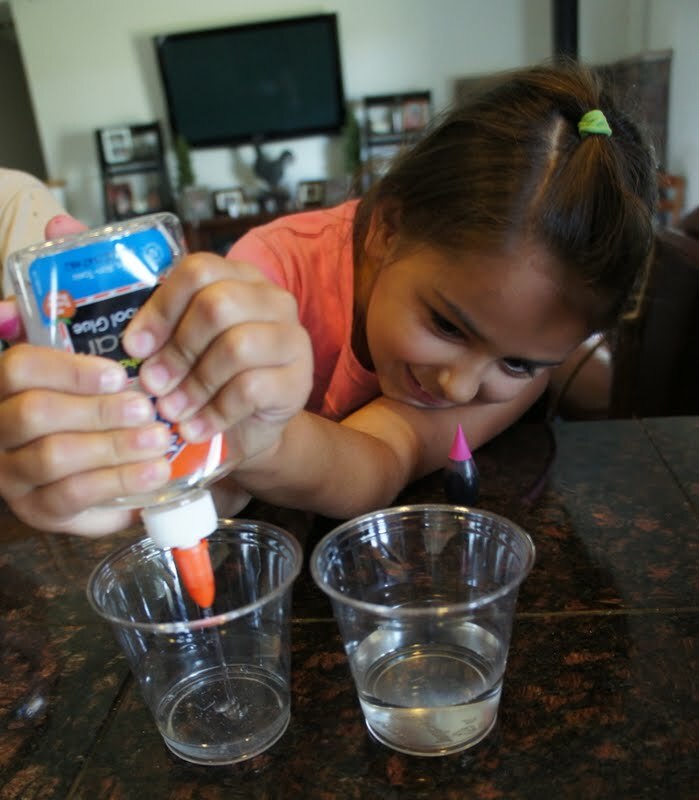 The more borax you add, the stiffer your slime will be. Make sure you keep Paper Towels handy. It can get a little messy. The kids made their favorite colors. How cool does that look?!? 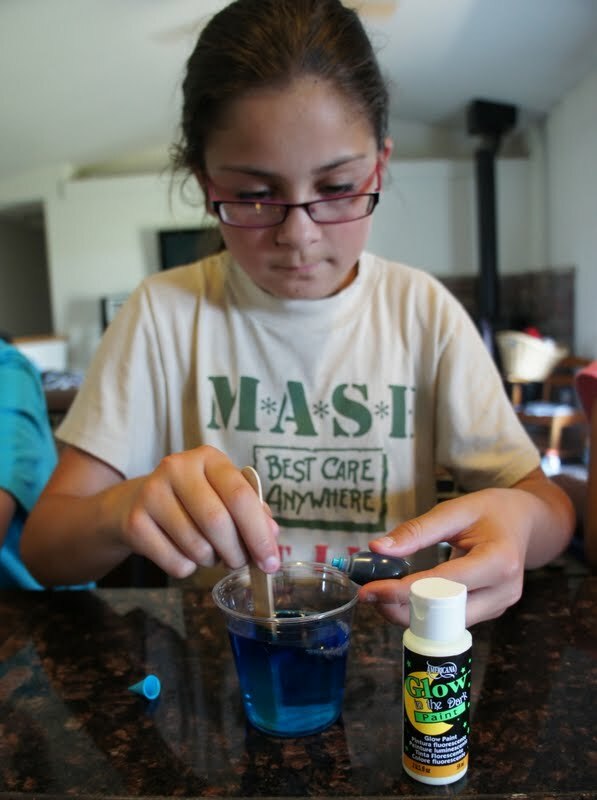 Once you have your slime made, you want to rinse the slime in water. Then your done. Have fun playing with it. My kids have. They are even smooshing it down and using cookie cutters to make shapes with it. Very cool! Let them sit in the sun for a while, then take them in a dark space and watch them glow! Keep them stored in a zip lock bag. When you play with your slime, try leaving it in the cup and smash it down, its also similar to flarp. It makes certain sounds. LOL That kids love! Woah that's awesome. All of the other times I have searched on how to make slime it didn't work but now it did!